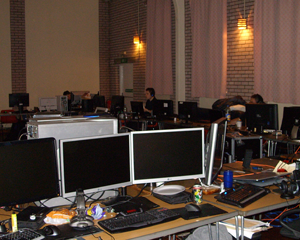 epic.lite is a relaxed, social event where even the epic.LAN staff team are there to enjoy themselves. There is no formal advanced programming, no heavily organised activities, and technically no "staff area". 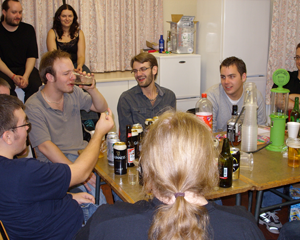 It's just a chilled weekend of gaming, some drinks and a load of fun! We promise that you wont see any tournaments at this event, so if that's what you're looking for, sorry! The venue is unlicensed so you may bring your own alcohol. A microwave and fridge will be available in the venue as well as breakfast of hot sausage and bacon baps every morning. A 10 minute drive away is Festival Park with many fast food outlets, supermarket and other shops as well as a number of other local shops and takeaways. There will also be a small selection of snacks and drinks operating on an honesty-cup principle. If you have it, pay for it. Big Games - Various big games will go up through the day where we try to get as many people into the server for some epic action! Tunes! - Throughout the day and evening (not while people are sleeping) we'll get some tunes on the go to give ++ atmosphere. Not to mention all of the usual things you would expect to find such as consoles, chill-out area and big screen. Breakfast - Hot sausage and bacon baps every morning!